If you’re an AFC playoff team with a quasi-competitive defense, are you supremely scared of Peyton Manning and the Denver Broncos right now…even playing them in Denver? Yeah, yeah, yeah, I get it. It’s Peyton Manning, etc., etc., etc. However, let me provide you with recent numbers on the great Peyton Manning. 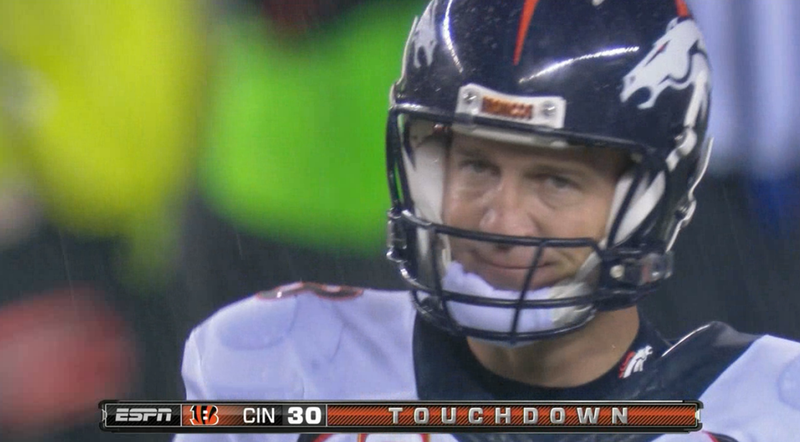 Over his past four games, Manning has thrown three touchdowns and six interceptions. In other news, the AFC North title will be decided next Sunday night between Cincy and Pitt while Baltimore, San Diego, Kansas City, and Houston are still alive for the final playoff spot. As for the NFC, the Packers and Lions battle for the NFC North crown and a bye. Meanwhile, Seattle just needs to beat Shaun Hill and they will claim home-field advantage for a second straight year.